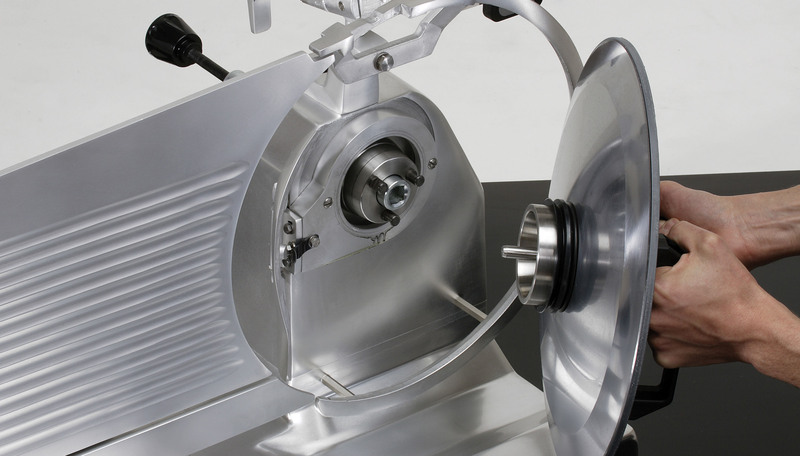 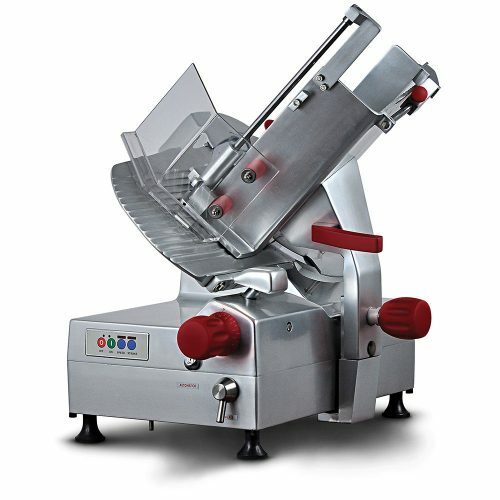 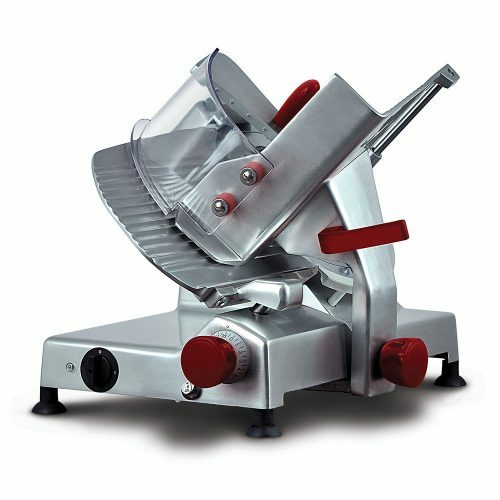 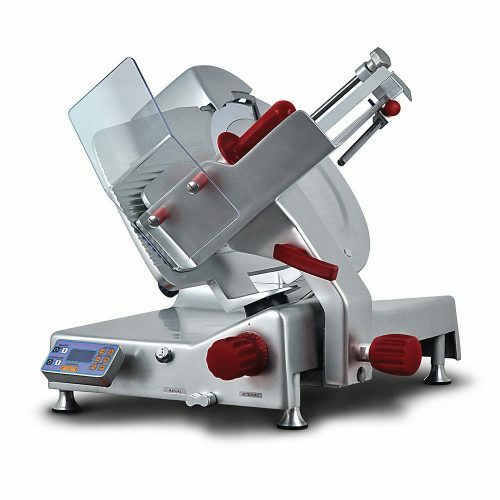 The fully automatic gravity feed belt driven slicer takes the hard work out of slicing. It is fast, clean, precise and very easy to operate and features two independent motors, one for blade rotation and the other for carriage movement. 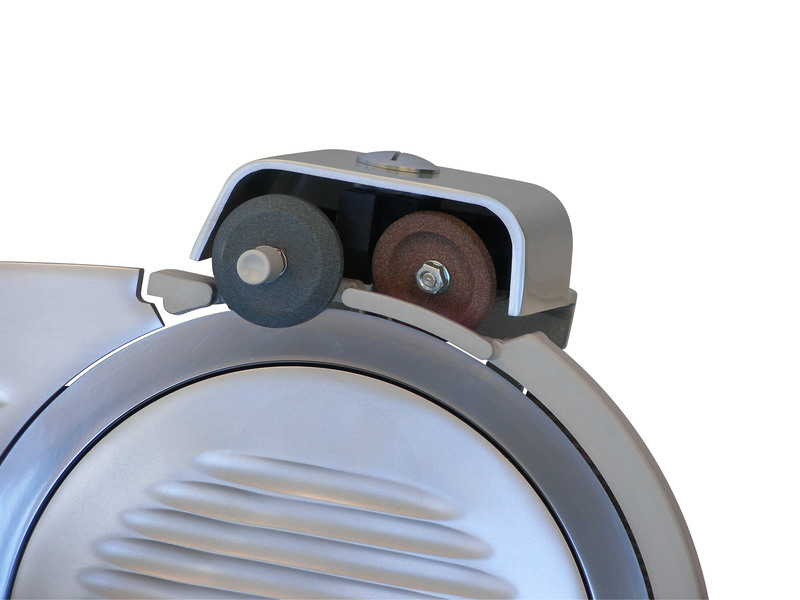 Optional model NS350HDX is available with factory fitted speedy blade remover device to ensure absolute safety should the blade ever need to be removed for maintenance. 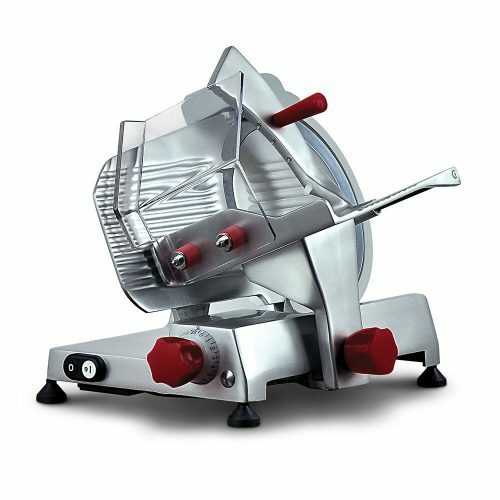 See feature photo above.